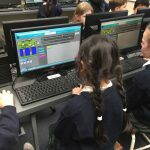 Room 6 made these tables games in Scratch. 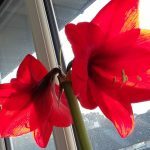 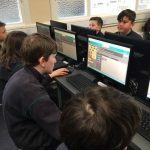 Test out your + – x / and see what score you can get!!!! 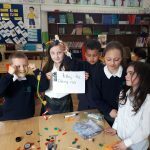 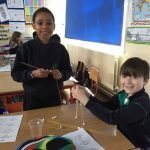 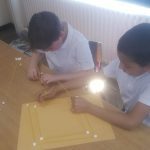 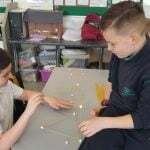 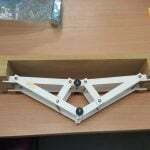 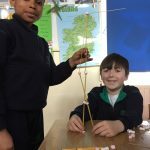 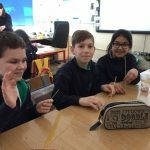 The pupils in Room 16 were busy building structures and bridges using different materials. 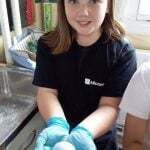 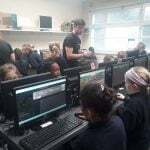 The pupils learned all about coding from employees of Microsoft. 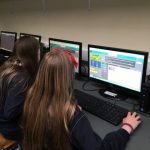 It was very interesting to learn how to write code and instruct the computer to do different tasks. 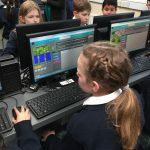 There was a whole school participation in this coding lesson over two days. 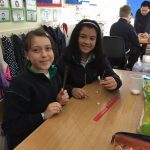 Each of the 17 classes were scheduled for a period of 40 minutes on April 23rd and April 24th. 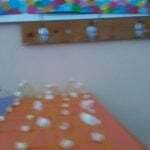 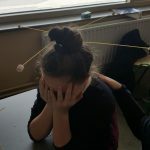 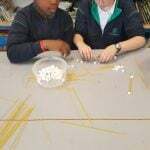 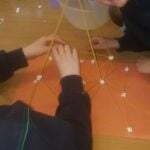 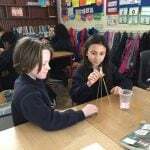 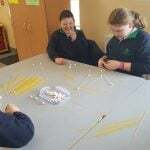 The boys and girls used spaghetti and marshmallows to create structures. 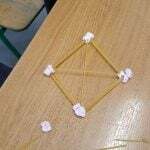 They were being great engineers. 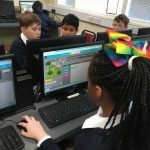 Some Microsoft employees were in St. Louis and they were completing an hour of code with every class in the school. 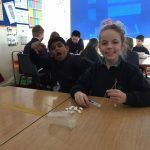 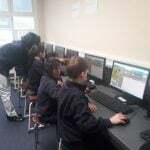 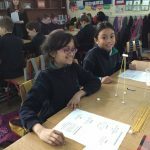 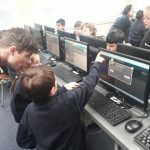 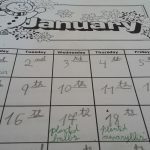 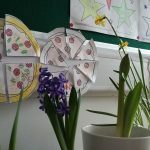 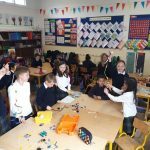 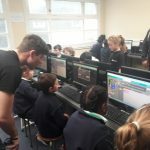 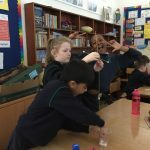 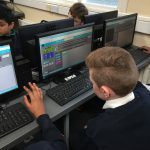 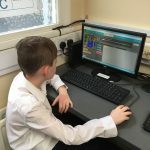 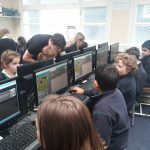 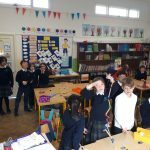 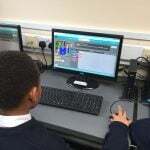 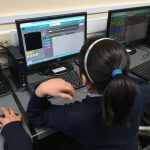 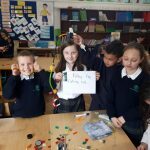 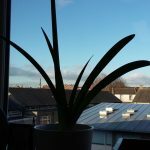 All of the pupils learned about coding and writing computer code. 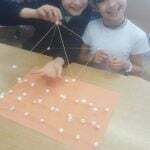 Future engineers! 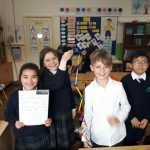 Room 11 had great fun designing and building using K’nex! 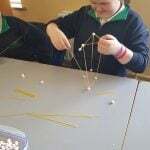 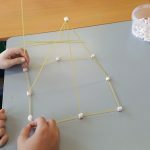 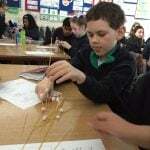 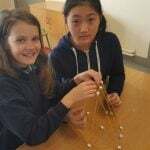 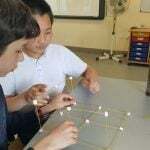 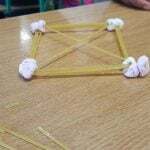 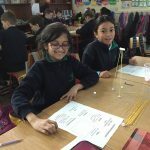 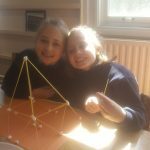 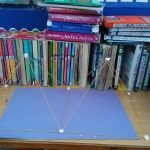 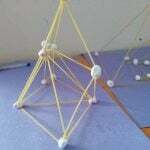 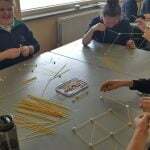 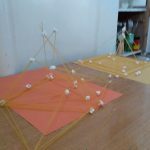 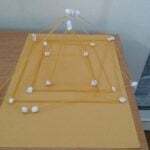 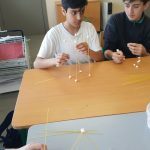 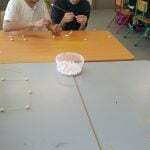 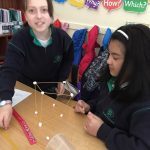 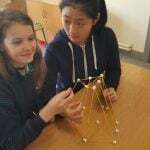 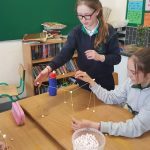 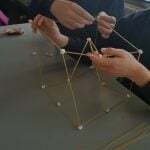 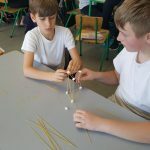 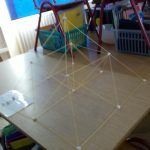 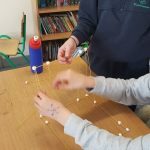 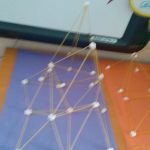 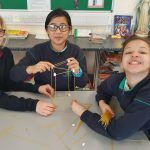 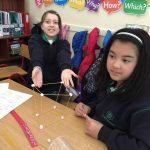 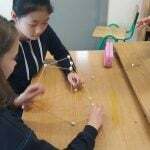 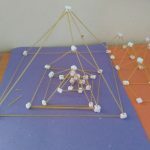 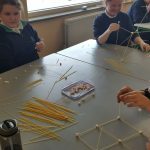 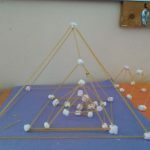 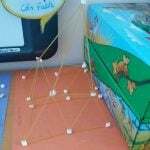 Marshmallow and spaghetti structures were constructed in pairs using basic pyramid structure. 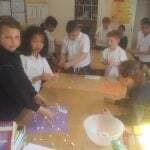 Room 6 were busy mixing pva glue with come flour. 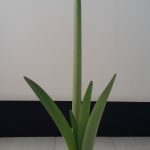 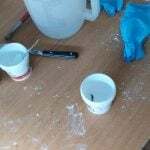 Tben mix teaspoon borax in 2 tablespoons water. 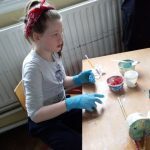 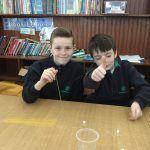 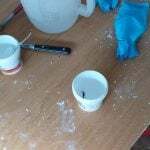 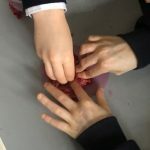 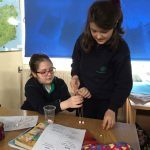 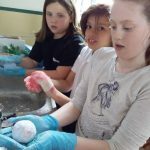 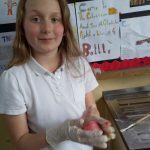 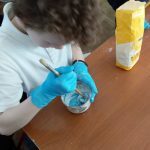 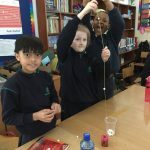 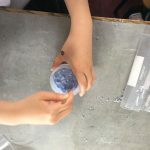 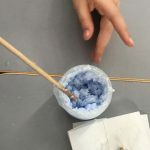 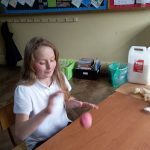 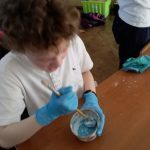 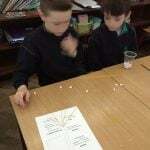 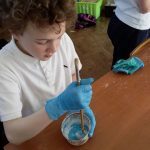 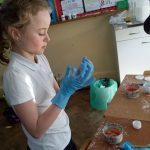 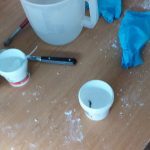 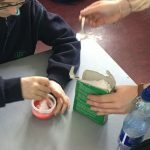 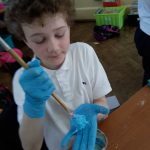 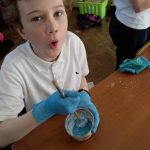 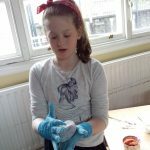 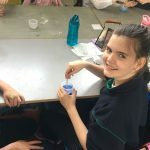 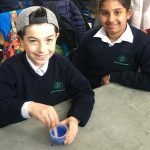 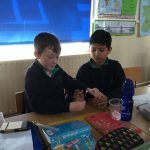 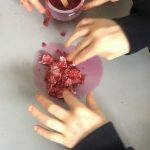 Mix borax solution into glue and cornflour mixture until it forms a new material a polymer which bonds together when pressed and rolled between hands. 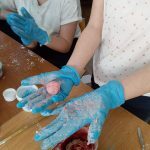 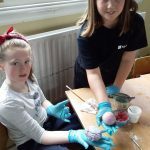 Add food colouring while mixing glue and Cornelius to give the ball a colour. 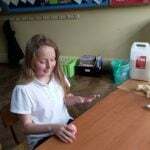 Roll and squeeze until it comes together into a smooth ball. 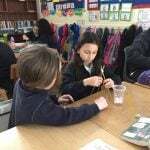 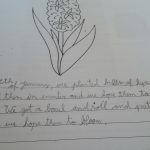 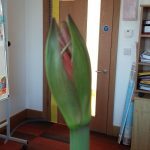 Different pupils in Ms. Eaton’s room were busy planting bulbs and watching them grow.